Arequipa is the picturesque city of Peru. With 861,145 people, it is Peru’s second most populous city. 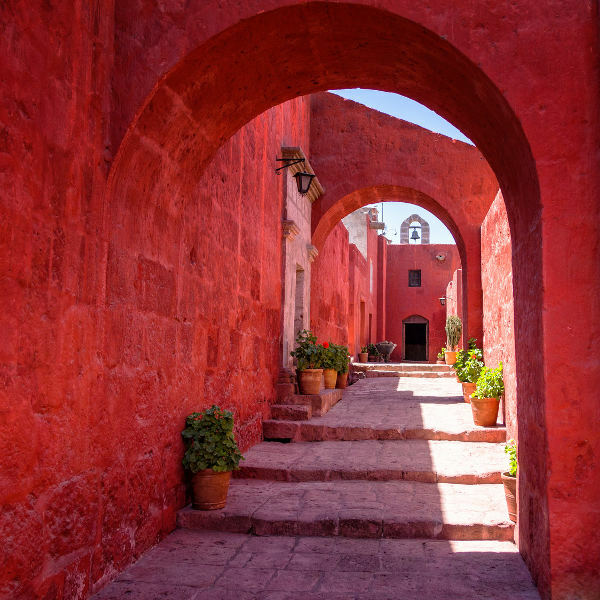 Arequipa is the exclusive chance to encounter ethereal landscapes and witness a mix of the indigenous and Spanish colonial cultures. Popular attractions of this joyous metropolis include San Camilo, Goyeneche Palace Arequipa, Yanahura and Monasterio de la Recoleta. 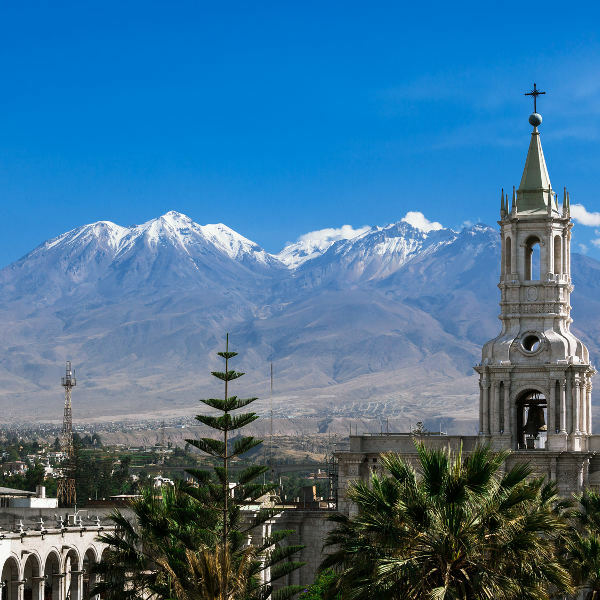 Cheap flights to Arequipa are now available for a limited period of time, so get ready for a life changing experience in this wonderful city! Arequipa is the home of Rodríguez Ballón International Airport (AQP), which is a 20-minute drive from the city centre. Arequipa’s city skyline is decorated with a series of volcanic cones: Misti, and the extinct volcanic groups Pichu Pichu and Chachani. Thrill seekers can take on downhill volcano biking and volcano climbing. Founded in 1580, Santa Catalina Monastery was once home to 450 people (comprised of nuns and their servants); today only 20 nuns live in its northern quarter. The public can visit the rest of this bold coloured historic site. 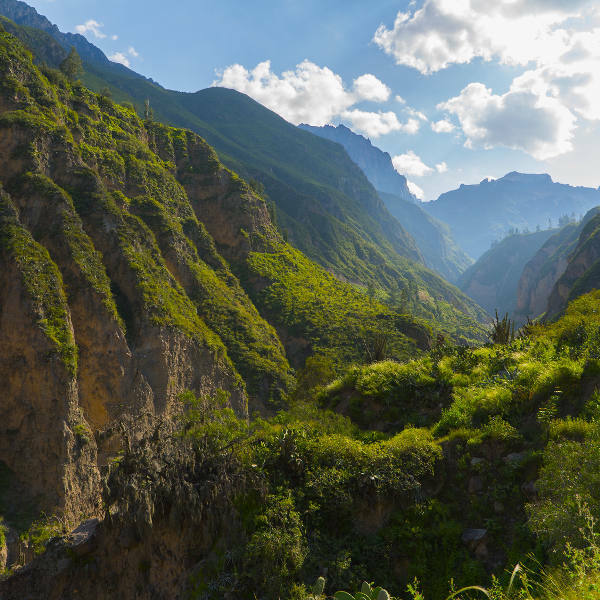 A transcendent experience awaits at Colca Canyon. This natural wonder is the second deepest canyon in the world. The essence of the Peruvian magic can be discovered upon a spiritual trek through its crevices. The best time to visit Arequipa is during winter (May to September). The warm temperatures and clear skies offer idyllic conditions for sightseeing and outdoor activities. However, the peak tourist season between July and August should be avoided if you want to avoid high prices and large crowds. If you don't mind a little bit of rainfall, the wet season, which lasts from November to April, is the best time to visit if you want cheap flights to Arequipa. This extraordinary city in Peru has a distinct aura about it, with its Spanish influences seen throughout the architectural landscape. Arequipa is endowed with a series of volcanic cones, namely Chachani, El Misti and Pichu Pichu. It truly makes for a vastly beautiful city skyline. Home to politically conscious people ever since Peru gained its independence from Spain in 1821, Arequipa is a city rich with great history. Along with its volcanoes, which adorn the skies, this inimitable Peruvian destination’s cityscape was designed to resemble a checkerboard made of sixty-blocks, each one made up of “400 Castilian feet’’ (111.4 meters). Exploring this amazing destination will reward you with the most incredible scenery. Be sure to pack your camera to capture those idyllic postcard views! Compare several airlines, and book your cheap flights to Arequipa online at Travelstart. The Zika virus is a risk in Peru. All travellers should take preventative measures against mosquito bites and exposure to the Zika virus during and after the trip. You should also be up-to-date on routine vaccinations before your trip to Arequipa. These vaccines include measles-mumps-rubella (MMR), diphtheria-tetanus-pertussis, varicella (chickenpox) vaccine, polio, and your yearly flu shot. Most travellers are advised to get vaccinations for hepatitis A, hepatitis B, typhoid, malaria rabies and yellow fever. The threat of crime is no more prevalent than any other major city. Peru goes out of its way to ensure the safety of tourists. However, travellers are still encouraged to take the usual precautions and remain cautious throughout their stay in Arequipa.